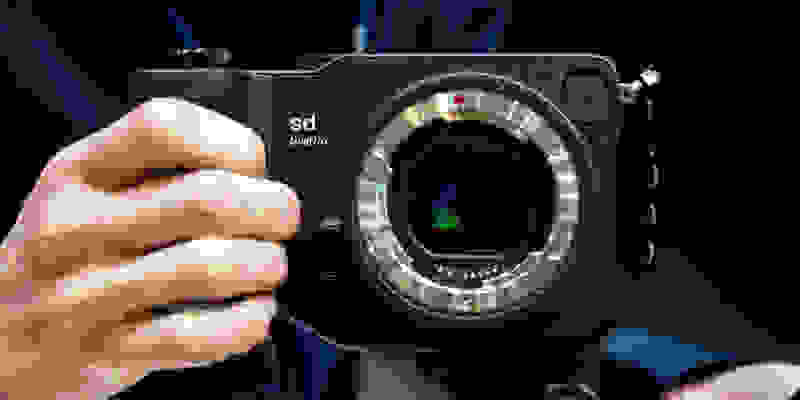 Sigma joins the mirrorless party, but can its sd Quattro compete? 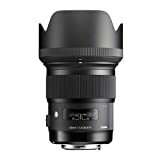 Sigma has taken the photography world by storm with its phenomenal Art lenses, which rival many competing lenses from Canon and Nikon at significantly lower prices. But that success hasn’t translated over to the company’s cameras. Its SA-mount DSLRs have remained little more than a curiosity for most shooters, even as Sigma glass has skyrocketed in popularity. Still, Sigma keeps trying. The latest SA-mount cameras are the twin sd Quattro and sd Quattro H (MSRPs TBD), Sigma’s first mirrorless models. Like the fixed-lens dp Quattro cameras, the sd Quattros have a funky shape and use an unconventional Foveon sensor (APS-C in the case of the sd Quattro, or APS-H for the sd Quattro H). Unfortunately, like those cameras, they also suffer from the same quirks Sigma cameras have suffered from since time immemorial. We got the chance to check out these new oddities at CP+ 2016 in Yokohama, Japan, where Sigma was showing them off to curious onlookers. Here’s what we found. Aside from the sensor inside, the sd Quattro and sd Quattro H are identical, and like all recent Sigma products, they're sturdy, heavy, and beautifully put together. The body feels like a (strangely shaped) brick in your hand, for better and worse, and all the buttons have a pleasant tactility. The camera has a heft that’s reminiscent of full-frame DSLRs, and even though it has a slightly unusual shape, the grip feels well-designed. The control scheme is also fairly well thought-out. There are discrete buttons for EV compensation, ISO, metering, and more. There’s also a handy switch to toggle between the EVF and screen, or you can leave it on auto and let the eye sensor do the work. The rear display is certainly pretty enough, and it has a neat trick; what looks like a super widescreen panel at first glance turns out to be a traditional 4:3 display paired with a secondary, monochrome status LCD. Most of the time it shows you your vital shooting settings, but press one of the buttons arrayed along the right-hand side of the display and it’ll blank out everything else so you can focus on the setting you’re adjusting. Though difficult to judge thanks to the conditions of the trade show floor, shots from the Foveon sensors appeared to be just as sharp and color-rich as we’ve come to expect—as long as you shoot at ISO 400 and lower, that is. 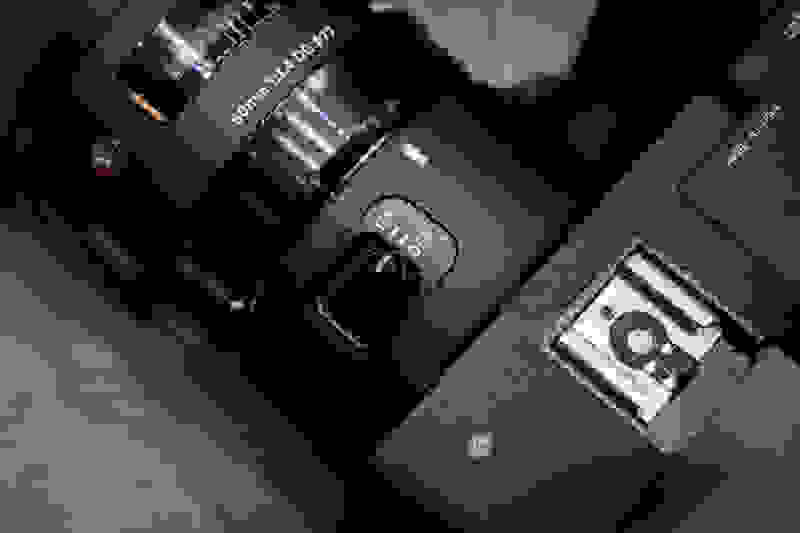 As with previous Foveon cameras, shots taken with the sd Quattros at higher sensitivities are marred with extreme noise and ugly, splotchy noise reduction. Long story short, these are definitely not do-it-all-cameras. But if you’re primarily shooting landscapes or posed subjects, the image quality can be breathtaking—particularly if you’re shooting with the stellar Art primes. Pretty much everything else, to be honest. If you were expecting Sigma’s first mirrorless cameras to be a quantum leap forward in usability, well… sorry. All the usual complaints about Sigma cameras still apply here: slow autofocus, slow processing, slow everything. There’s noticeable lag as photos are processed after each shot, for instance, while the EVF just blanks out. Then there’s the EVF itself, which looked so bad that I thought I’d been handed a defective unit. But nope, it’s just that bad. Sigma says it has 2,360,000 pixels, but in my experience this thing has the resolution of a potato. Colors are smeared, detail is absent, and in general you're just better off using the rear display. The sd Quattros use the same SA mount as all Sigma DSLRs, meaning they have access to all the same glass. 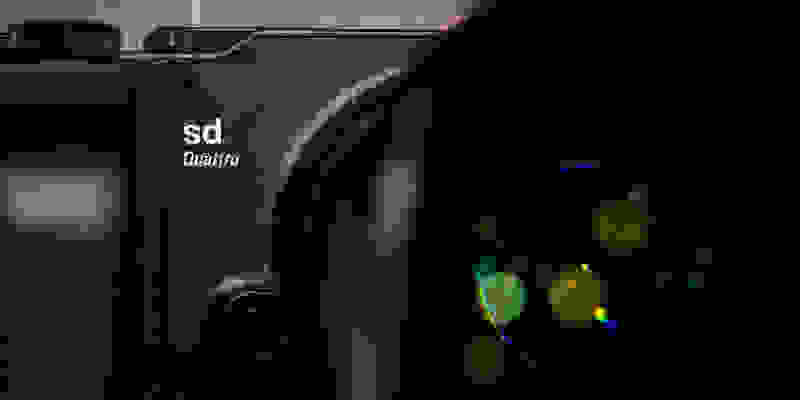 As I mentioned above, image quality degrades noticeably at even moderate ISO settings and only gets worse from there. Shots at ISO 1600 and above are virtually unusable. That’s typical for Sigma, but it still baffles me every time I run into that wall of noise. I mean, we live in an age where Nikon just released a camera that can produce serviceable black & white images at ISO 409,600. The sd Quattro H variant is intriguing—we haven’t seen an APS-H camera in some time—but it leaves you wondering how many of Sigma’s APS-C lenses will project enough of an image circle to avoid excessive vignetting. And if you really have to use full-frame lenses to get the most out of the sd Quattro H, why not just make it a sd Quattro FF and be done with it? Shots at ISO 1600 and above are virtually unusable. Ultimately, this is a camera that’s capable of cranking out amazing shots under ideal conditions, but step a sliver outside of those conditions and you're in trouble. With so many better, smaller, lighter, more adaptable, and cheaper options on the market, you'd have to be a real Sigma die-hard to look at this camera and think, "that's the one for me." While Sigma's cameras mostly just leave us scratching our heads, I can still admire the company’s chutzpah. Year after year it lets its freak flag fly, ceaselessly pursuing the unusual tech and wacky form factors that have become its trademark. If you want to own a camera that makes other camera nerds do a double-take and ask, What the heck is THAT?, well, here’s your camera. Like the dp Quattros, dp Merrills, o.g. dps, and SD-series DSLRs, these new mirrorless Quattros are rife with flaws that make them impractical (at best) for the average shooter. Even moderately high sensitivities slaughter image quality, the cameras are annoyingly slow, and the EVF is borderline unusable. But when you hit that sweet spot and maximize the Foveon sensor’s potential—holy cow, these things can deliver the goods. Do those few fleeting moments of greatness mean you should buy this camera? No, probably not. Should you admire the fact that it exists? Maybe, just maybe.